These luxury Streeterville apartments are in a perfect location! 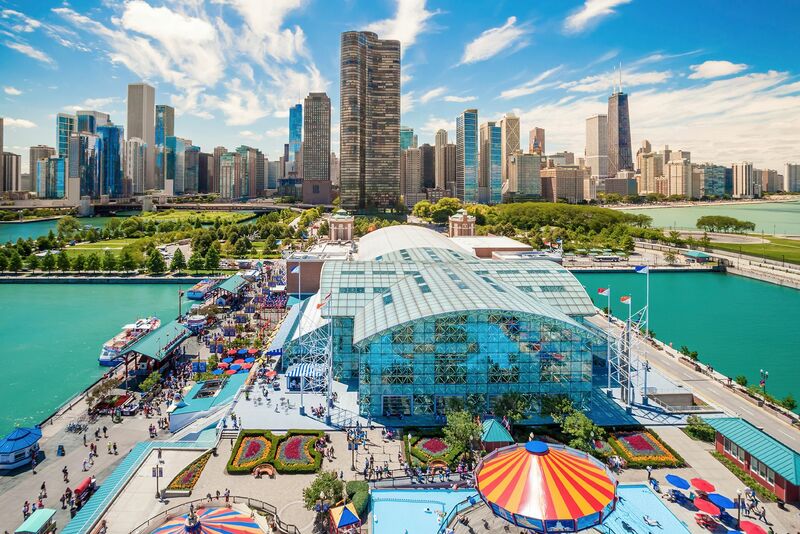 Walk right over to AMC River East Theatres, Navy Pier and some of the best restaurants in downtown Chicago. Feel like going to the beach in the summer? Oak Street Beach is merely a walk a way as well. There is always new apartment development happening in Streeterville and why not live in newest one yet! One final thing to mention - the apartment rooftop deck is simply breathtaking with it's unobstructed views of Navy Pier and Trump Tower! These Streeterville apartments have a luxury feel the minute you walk into the lobby. The apartments include white-oak hardwood floors in the living areas, quartz stone countertops, and custom cabinetry. The stainless steel appliances are brought to you by Whirlpool and the faucets are Kohler. Even the lower floor apartments have spectacular views. You definitely have to check out these breathtaking views!